Noceto own 200Ha of specialised orchards. Every farmer has a micro-sprinkler irrigation system. The water for irrigation is sourced from one channel. The soils vary from medium to clay and in every soil there is shallow ground water that provides a good supply of water improving the saturation-time and the draining time. Il Noceto, as other recognised companies do, has a high level of awareness for fertilization strategies and other agronomic practices. With the choice of volume and intervals, it was very difficult to manage the irrigations. Il Noceto chose to purchase Sentek’s product as an important decisional support tool. The Sentek probe allows the user to measure soil moisture down the profile at different depths. The agronomist can then access the data via the Internet from any computer, anywhere in the world. The data is displayed in real time. The agronomist can then download the data in to Sentek’s IrriMAX™ software to define what the best irrigation strategy should be. The data produced by the 14 EnviroSCAN probes displayed with Sentek’s powerful IrriMAX™ software, alerted them that they were applying too much water to the walnut crop. 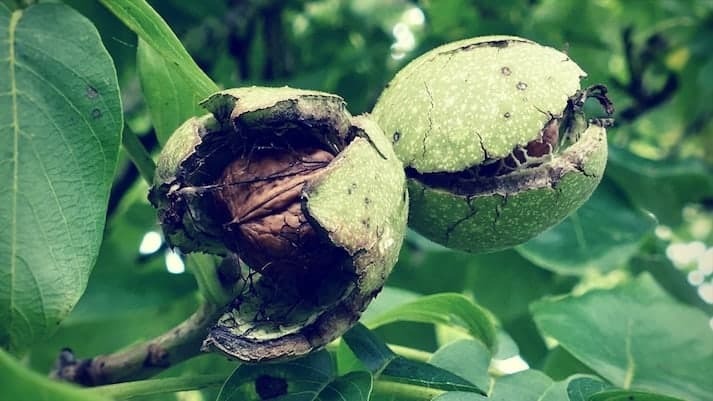 As a result, irrigations were reduced by 70% improving the quality of the walnut, reducing shrivelling of the walnuts and improving the total yield.